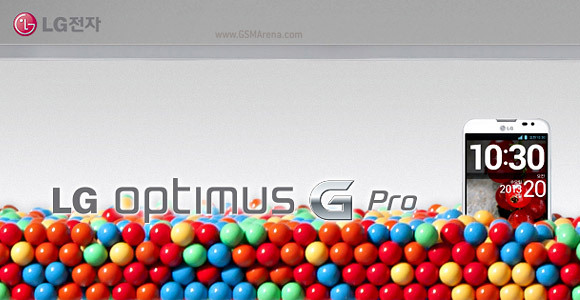 The Optimus G Pro is LG’s answer to the Samsung Galaxy Note II and it will be heading to North America and Japan after the South Korean launch. Not immediately – those launches are scheduled for some time in Q2, while the Korean launch will be later this month. Reports pointed to an April launch for Japan. The LG Optimus G Pro offers the same screen size as the Note II but with a 401ppi pixel density (compared to 267ppi). The bezels are quite thin and the phone is narrower than the Note. The Optimus G Pro will be one of the first devices powered by Qualcomm’s Snapdragon 600 chipset (four of the revamped Krait 300 cores and Adreno 320). The Optimus G Pro has a 13MP main camera and 2.1MP front-facing camera and they can record simultaneously, plus there’s object tracking for improved focusing. Unfortunately, LG’s press release left out details like price and carriers for the Optimus G Pro launch, so we’ll have to wait for more info on that one – and we might get it at the MWC. I cant believe how late are you lg in marketing. The optimus g haven't even be released in uae. So what about the g pro? I am not surprised of poor optimus g sales. i have lg optimus 4x hd. i want optimus pro. but lg is so late to lunch this phone againts note 2. i think next week i will bye note 2.